Follow our guidelines for using the seal and name. Don’t use the PhytoProof seal in a way that implies partnership or sponsorship. This includes combining any part of the seal with a company name, marks, or with other generic terms. Avoid trademarks, names, domain names, logos, or other content that could be confused with Euromed PhytoProof. 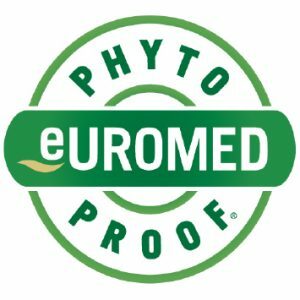 The words Euromed PhytoProof cannot be changed in any way. They are two separate words that must always be capitalized and never modified, abbreviated, or translated regardless of surrounding text. The words Euromed PhytoProof should be the same font size and style as the content surrounding it. Never use the seal to replace the words Euromed PhytoProof in a sentence. 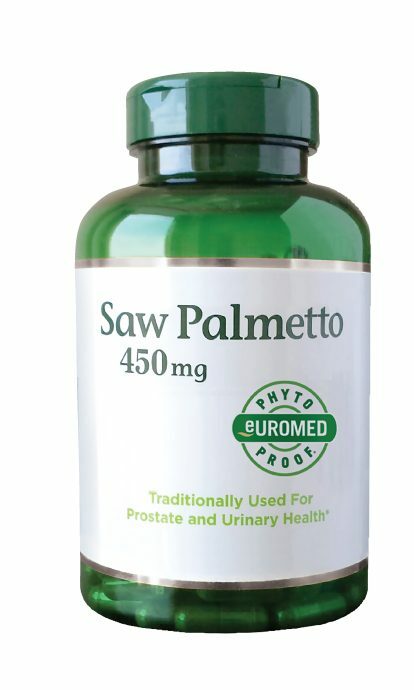 PhytoProof is a registered trademark of Euromed USA. This must be indicated in the legal copy of your marketing material. Maintain proportions and preserve clear space. Use the width of the “H” in PhytoProof to find the minimum amount of space is left around the seal. Don’t change the color, design, or appearance of the seal in any way. The seal may be used in color or black, but color is preferred. 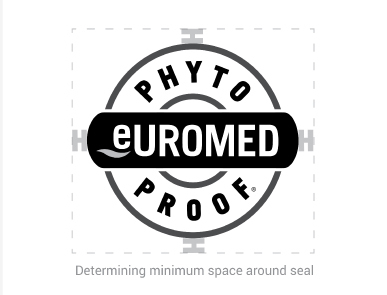 The Euromed PhytoProof seal should be no more than 10% of your design, and should not be the most distinctive or prominent feature. Why does Euromed need rules about how to use its PhytoProof assets? These rules are intended to promote consistent use of the PhytoProof seal and name. This makes it easier for people to recognize references to PhytoProof instantly and prevents confusion. These guidelines also help protect our trademark. When do I need to request permission to use the Euromed PhytoProof brand assets? You must get approval for all broadcast and television campaigns that use the PhytoProof seal in any capacity, as well as any print larger than 8.5″ x 11″. However, Euromed doesn’t require a Brand Permissions Request for print materials smaller than 8.5″ x 11″ as long as you adhere to the PhytoProof brand guidelines. How long does it take to get permission to use the Euromed PhytoProof brand assets? If you are following these guidelines and using the assets for print materials smaller than 8.5″ x 11″, then you don’t need to ask permission. If you want to use our assets in broadcast or print larger than 8.5″ x 11″, response time can take up to two weeks. To ask permission, email Guy Woodman, General Manager, at guy@euromedusa.com with a brief description of your material and include a PDF file for visual reference. Your request is not approved until you have it in writing from the Brand Permissions Request process.